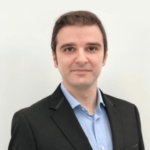 Fatih has been a research fellow at KAPSARC since December 2017. He began his career as a researcher at Galatasaray University before moving to the University of Paris Nanterre where he worked as an associate professor of economics. He has also been a researcher at EconomiX-CNRS and an external researcher attached to Galatasaray University Economic Research Center (GIAM). Fatih has published many articles in the fields of energy and environmental economics and has supervised M.A. and Ph.D. dissertations. He has been a member of research projects dealing with energy or climate change issues, which have been financed by institutions such as the French Energy Council and the European Renewable Energy Council. Fatih is a regular member of advisory and scientific committees of symposiums or conferences in his field of experience. He also regularly serves as a referee for many international journals and national science foundations. Indirect Taxes, Social Expenditures and Poverty: What Linkage? Convergence of per capita carbon dioxide emissions in the EU: Legend or reality? How many times again will we examine the energy-income nexus using a limited range of traditional econometric tools? Energy consumption and economic growth revisited: Does the size of unrecorded economy matter?